FREETOWN, May 5 2018 - Midwives everywhere have jobs that truly matter, but in Sierra Leone, their role is even more demanding. The country has among the highest rates of maternal and newborn deaths globally, and it is estimated that as many as eight mothers in the country lose their lives every single day. Shortages of skilled midwives are a major challenge. With support from partners, the Government has made real progress in scaling up recruitment, and there are now 647 trained midwives in the country compared to just 57 in 2010. Despite this, there is still much more to be done to reach the country’s target of 3000, which would adequately meet the needs of its young and growing population. 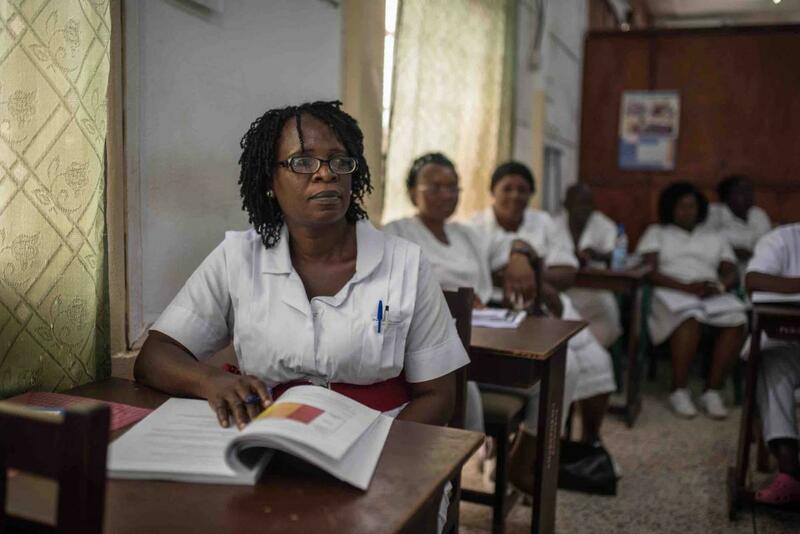 While more midwives are being trained, the World Health Organization is also working with the Ministry of Health and Sanitation to help improve the quality of this training and help ensure midwives have the skills they need to save lives. This includes the launch last year of a new standardized nursing and midwifery curriculum and practical preceptorship, and efforts to strengthen regulation and accreditation of training institutions. o Assessment of the midwifery schools against international standards. o Recently, at the request of the President, Sierra Leone has joined the Global Quality of Care Network for Maternal, Newborn and Child Health, which aims for all pregnant women and newborns to have access to good quality care throughout pregnancy, childbirth and the postnatal period. Pregnancy in Sierra Leone currently incurs unacceptable risks for women and their babies. Midwives have a critical role to play in transforming this situation, but they need continued support and investment to help them be the best they can be. The work that the Ministry of Health and Sanitation, WHO and partners are doing to ensure quality midwifery care remains crucial for building a healthier future in Sierra Leone.